Home 2017 Aragon Carmelo Ezpeleta motogp Valentino Rossi Dorna CEO: "Aragon shows how much Rossi loves MotoGP"
Dorna CEO: "Aragon shows how much Rossi loves MotoGP"
He was impressed by the fact that Rossi cannot be stopped from a leg break.Valentino Rossi in Aragon impressively and thrills Dorna CEO Carmelo Ezpeleta. Normally, Valentino Rossi is not euphoric for a fifth place as last Sunday. However, after a few days, before it was not clear whether the Yamaha driver would ever be able to compete at the Aragon Grand Prix, his crew and the fans celebrated the top 5 result in Spain like a win. Only 23 days Rossi had broken the right rail and calf. Then the 38-year-old had to pause at the Grand Prix of San Marino. In view of the experience with such injuries - Rossi had already broken his leg in 2010 - a comeback in Motegi (29 October) was considered probable. The fact that Rossi had already competed in Aragon, had been on the podium for a long time, and finally finished fifth, did not just respect many MotoGP colleagues. 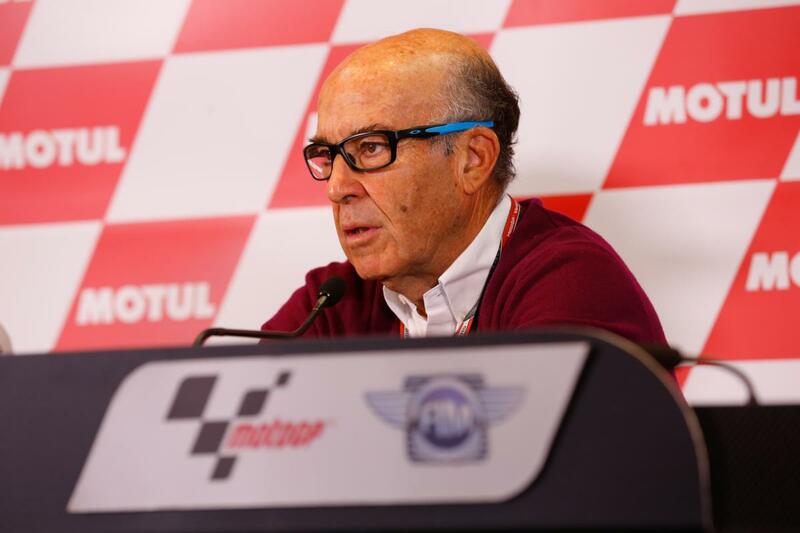 Carmelo Ezpeleta, CEO of Dorna, is also impressed: "A guy who breaks his leg and after 20 days his MotoGP motorcycle is already driving like a beast, shows how much he loves this sport." Carmelo Ezpeleta: "Fans will see Rossi for a long time"
On Thursday before the race in Misano, which Rossi missed, Ezpeleta visited the Italian at home in Tavullia. Already at this time, the nine-time world champion played with the idea of trying it in Aragon. "He said to me that we would see each other, but I did not know if he wanted to go to see the race," recalls Ezpeleta. For him, it was a surprise to see Rossi sitting in the engine land on his Yamaha M1. "This is an example of how much he wants to drive," emphasizes the Dorna CEO. This passion, he hopes, will also drive Rossi to extend his contract with Yamaha beyond the 2018 season. Because Ezpeleta knows that the Italian is still the biggest motorcycle championship. "Valentino has certainly contributed to winning more enthusiasts for this world championship, but we can not prevent the unavoidable, there will be fans who will retire with him, but others will follow us because they have discovered that the series is wonderful ", Ezpeleta looks into the future. "In addition, I think Valentino wants to keep us in some form, the fans can see him further." According to his driving career, Ezpeleta would prefer to see Rossi with his own team in the royal class. In the smaller categories Moto3 and Moto2, he is already represented with one team and two drivers. In addition, he promotes numerous Italian up-and-coming talents in his "VR46 Riders Academy". 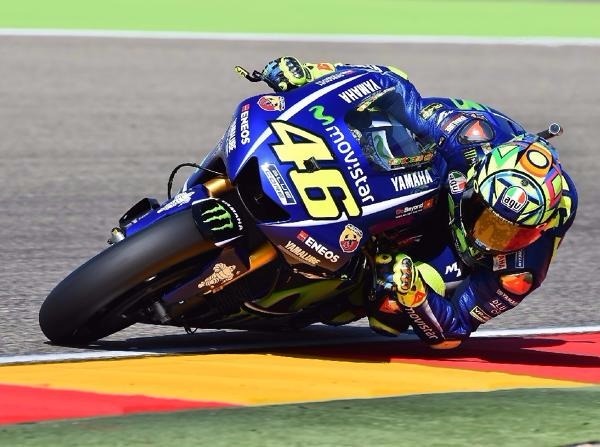 He was impressed by the fact that Rossi cannot be stopped from a leg break .Valentino Rossi in Aragon impressively and thrills Dorna CEO Carmelo Ezpeleta.